A simple Thank You Notes after a funeral is an ecstatic way to appreciate the support from your family, friends, relatives and colleagues during such hard times in your life. You would like to thank them for being there with you in this time of great loss to you. A decent m memory of the deceased with the concerned person may just be the way to go. 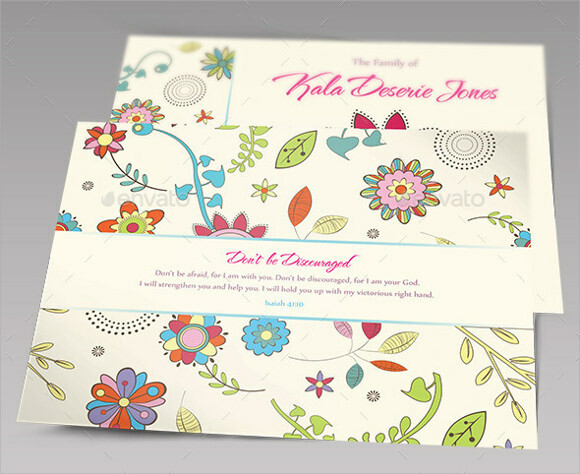 Your Thank You Note need elegant font with no bright colors and should come straight from your heart. People understand what you are talking about and it should this be as concise and to the point as possible. 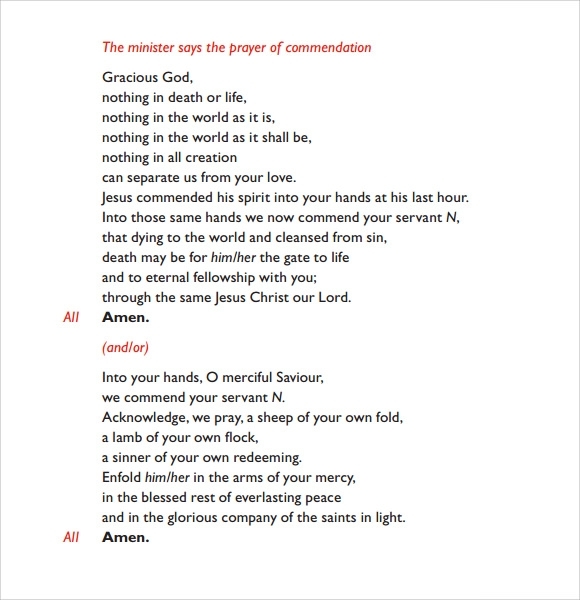 Download the apt note for funeral right here in word or PDF format. This is available with soothing textures and beautiful graphics. This can ensure that your messages can be put in various formats and dimensions as per the requirement of the user. White as a color of peace and eternal divinity is used for designing this and shooting graphics of flower and other assorted objects are designed craft fully so that it enhances its own look. This is available in a very simple format. This ensures that a simple designed envelope is provided with this card so that you can send this through mail services as well. You can also use this as downloaded version from any of the link provided. Though it is available with white background, but the color can be changed with your choices as well. Compared to the previous two templates, this is available in a very simple format and ensures that all the details are written in a clear point wise format. No such graphic design or something like that is included in this format so that you can widely describe your vote of thanks and deep appreciation for being with you in your tough time. This is very beautifully designed card used for spreading your vote of thanks. This ensures that at the left part of the card, there is a design and beside that there is a space for developing your messages as well. 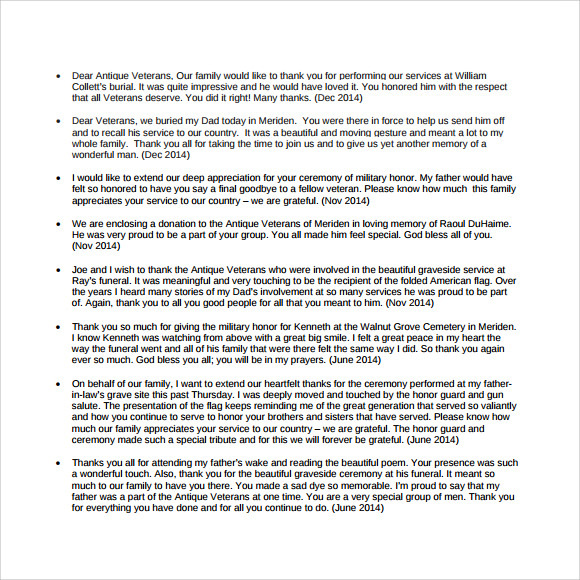 Why Do We Need Funeral Thank You Notes? 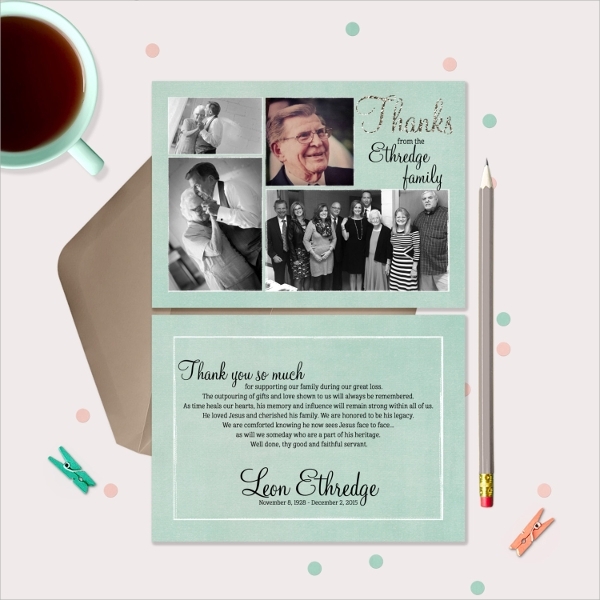 Funeral Thank You Note is used for appreciating your family, friends, relatives and other professional friends for standing beside you during your hard time. It is the time when you are missing someone at the same time you need someone to stand beside you. For this noble cause, the thanks giving template is used. You have lost someone and as a well-wisher, your friend, relatives has been spreaded their helping hands to overcome this situations. This is the one and only reason why this type of Thank You Notes is used. When Do We Need Funeral Thank You Notes? When the duties are over and your loved ones are taking rest in peace forever, then this thanks giving template is used. It ensures that, for those who are present in the funeral ceremony or else they took a part in the duties which has been performed for the soul; it is the technique to give them a vote of thanks. You want to share your gratitude of being helpful and stand by you. This is the way of expressing this. You may like Writing Thank You Notes. Need to make a list of those people who need your appreciation at the same time need to choose proper color and texture for describing your emotions as well. This ensures that, a decent memory of the deceased with the concerned person can be shared through this template. This ensures that your vote of thanks will be delivered to your concerned person through mail or through a hard copy. This is available in a variety of decent colors and with textures. As this is related to some great loss for anyone, so use of vibrant colors and other vibrant textures are avoided here. It ensures that your messages can be edited with your mind set up so that your gratitude can be expressed flawlessly.